You can protect your possessions better with these self storage packing tips. It just takes a little planning to keep your things from being broken or lost—and making your winter clothes easier to find when you need them. Read on if you want to know how to pack for self storage better, move to a new home easier, or just put things in your attic. Pick the right type of storage unit that will protect your valuables. If your things can be ruined by very hot, cold, or humid environments, look for a storage unit that provides climate control. Furs and wine often need a cold storage unit. Paper, clothing, electronics, and software need a low-humidity environment. If you don’t get a unit with humidity control, you might be able to put your own dehumidifier in your unit. You can also improve the ventilation in your unit by renting one that’s a little bit bigger than you need just to fit your belongings. That’ll let you leave space between your boxes and the walls to allow air to move around, and you can make an aisle in the middle you can walk down. Get boxes that are all the same size, which will make them easier to stack, or just two sizes, such as large and small. Label each box on at least two sides. You can add details to save time and hassle later. For example, you could write “kitchen” and “pots and pan” so you know a box doesn’t contain silverware or other kitchen items. Don’t overfill boxes, which could make them split open. Don’t leave empty spaces near the sides or top of boxes, which could make those areas collapse when pressed. Fill empty spaces with sheets, paper, bubble wrap, or something similar. As you fill boxes, make sure they’re not too heavy to carry. You can make boxes more manageable if you pack lighter items in large boxes and heavy things in small boxes. Dishes and stemware: Wrap every single dish in packing paper. Pack dishes that are about the same size together, and stack them with their edges down. You can separate stemware using cardboard compartments, also known as cell kits. Books: Don’t stack books on their spines, which can damage them. Stack them horizontally. You can use stronger boxes for books, but don’t pack the boxes so they’re too heavy or too full. Frames and mirrors: Protect framed art, pictures, and mirrors using bubble wrap and plastic or cardboard corners. Use art packing paper for framed art. For mirrors, make an X with strong tape across the face of the glass. Pack frames and mirrors vertically. Fragile items: Clearly label boxes if anything inside could break. Blankets, clothing, furniture, and drapery: Clean these before packing them in order to stop the spread of germs and odors. You can optionally hang up clothes in wardrobe boxes. Leather: Use a store-bought conditioner on leather. Wood: Put a coat of protective polish on wood. Metal: Prevent rust on metal items using a machine oil or rust-inhibiting paper. Put your heaviest things on the bottom, both in the moving truck and in the storage unit. 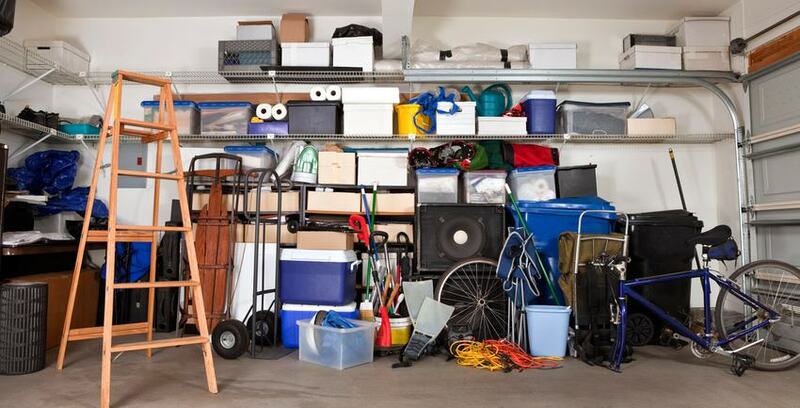 Set the things you won’t use for a while near the cargo door of the moving vehicle so they’ll be the first things you’ll unload and put in the back of your storage unit. Prevent damage to tables, bed frames, and lamps by taking them apart before moving them. Drape tarps or sheets over furniture to help prevent scratches and other damage. Place your boxes marked “fragile” on the top of everything else. Don’t store anything in plastic bags, which can keep moisture and mildew inside. Pick out the type of storage unit that’s right for you at Forney Storage, or get more storage advice here.